If you recognise one of these, you might be experiencing Impostor feelings. In these types of situation, feelings of impostor syndrome can break through, affect our ability to succeed and enjoy the very success we crave! These moments are important to the individual and to the organisation giving the opportunity. 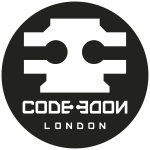 Note - LondonTechLadies events are open to anyone - men & women from any industry or background are welcome. Peter spent 28 years delivering growth, leading marketing powered businesses around the world, the last 10 in senior leadership roles in Unilever & Kellogg’s. He ran national, regional & global businesses, creating strategy, building diverse teams, driving change programmes and delivering performance. He lived and worked in UK, China, Netherlands and Ireland and travelled extensively – 32 countries at last count. He worked across the spectrum of more entrepreneurial unstructured environments and larger matrixed organisations. He has worked with many Agency partners – Strategy, Media, Creative, across networks and continents. So he has a real sense of the challenges, opportunities and dynamics facing business leaders today. He believes that inclusive diverse leadership teams create better culture and deliver better results. Enabling women to succeed in male majority sectors to is key to fuelling a flourishing leadership talent pool and thus better leadership.